Looking for tough tested tiedowns that will stand the test of time in the harshest of conditions? 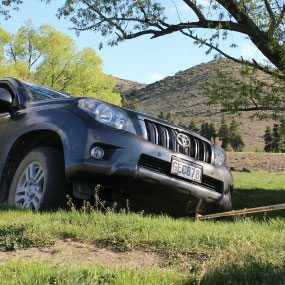 Aerofast Tiedown’s comprehensive range of New Zealand made products will do the job! 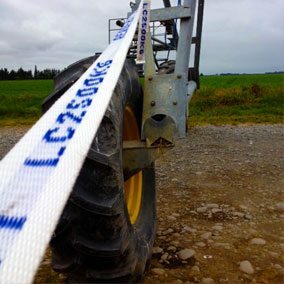 We have been New Zealand’s leading manufacturer and supplier of load restraint products for over 30 years! The foundation for this success has been built over many years from sourcing only the best yarns and components we can find from around the world. Each component is put through our strict testing regime to ensure they meet our demanding quality standards. Quality is of paramount importance to us. We have a dedicated team of tiedown specialists who are passionate about providing our customers with superior long-lasting tiedowns. With their expertise and our strict quality controls we believe our tiedowns are second to none. 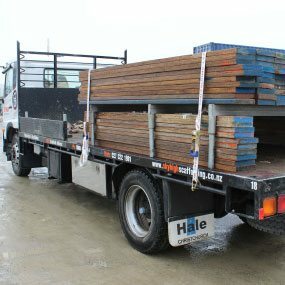 We have been manufacturing tiedowns in Christchurch, New Zealand since 1981 and our staff have over 200 years of combined expertise in manufacturing load restraint products. 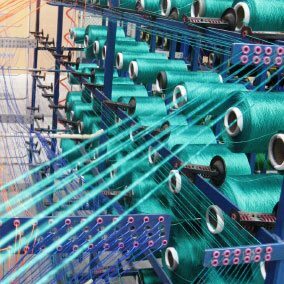 We use the best weaving looms from Germany and Switzerland to ensure our webbing is durable and long-lasting. Even with our extensive range of products we understand you may need something a little different. We have full production capabilities in our Christchurch factory, which enables a vast range of customisation with extremely quick lead times and no minimum orders required. "Mitre 10 now actively review the Difotis numbers with our top 100 suppliers. Last month Aerofast was the number 1 supplier in the business with a result of 99.4%. This is a fantastic result and for me a reflection of the hard work your team puts in and the efficient systems you have in place. Aerofast consistently has a fill rate in the 90% bracket which is an achievement on its own, but it was great to see you at number 1. Well done and keep up the good work. " "We have used Aerofast Tiedowns for a number of years for all of our webbing restraint equipment for our fleet. Their products are well constructed, strong and especially easy to use. We have enjoyed the relationship that they provide with quick efficient service, one call and it’s delivered within a couple of days. We get regular visits from Mike Bell and he keeps us informed of any new products that are coming onto the market. We would have no hesitation in recommending any of their products." 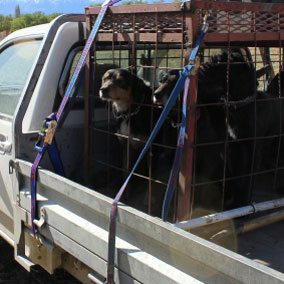 "We have been using Aerofast Hive Straps since 2010 and find this product to be the most effective and economical way to secure our hives. 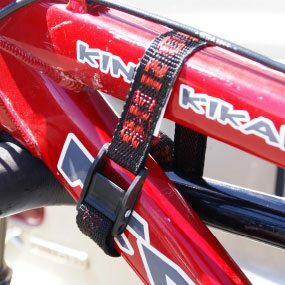 Aerofast’s webbing is very durable and long-lasting and the straps can be re-used over and over again. The ratchets allow us to tension the straps accurately without damaging the hives. 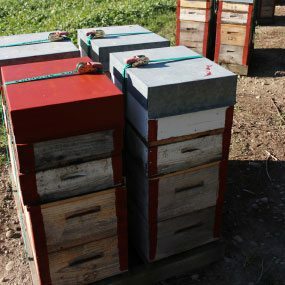 I would recommend all serious beekeepers to give Aerofast Hive straps a try - we did and we’ll never change back." 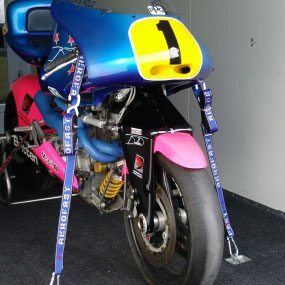 "I have bought the ‘cheap’ imported strops before… wasn’t worth it! Now, I always buy Aerofast, because I know what I am getting, quality and a brand that I can trust." "When working on the farm moving large objects is inevitable. 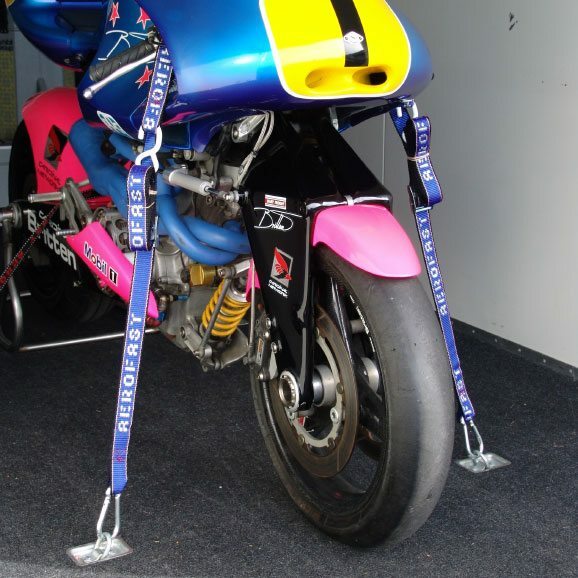 So whether it’s on a truck or a motorbike an Aerofast tiedown can always be trusted to do the job. 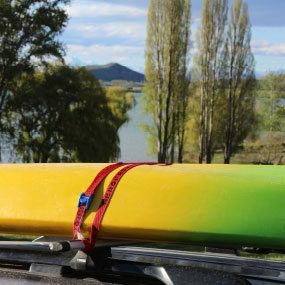 You never truly realize how many ways they can be used and there durability is second to none"
"I have been a keen surfer for some 36 years and just recently I lost a couple of my tiedowns . Today I went to Bunnings in Tauranga and bought a twin pack RRCL3 to replace those I lost. I just wanted to say how impressed I am with them, stoked that they are made in New Zealand and at a great price too! One of the ties I lost was an Aerofast strop I believe, still have the other half of the pair. Again thanks for the great product, please pass on to your crew"
"For many years Sports Marine have only used Aerofast Tie downs for safely securing all sold boats to trailers and for securing boats strapped into containers for export shipping. We have found the product to be totally reliable and the service and communication excellent. To have our name woven into the webbing has proved to be another form of noticeable branding and quality product association"
"For 13 years I have been involved in transport of furniture , commercial refrigeration and large redemption games many of these are on wheels. 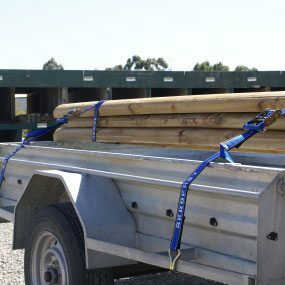 We have found that normal carriers straps could not be secured tight enough for damage free transport of this type of equipment and opted to use a ratchet type tie down. 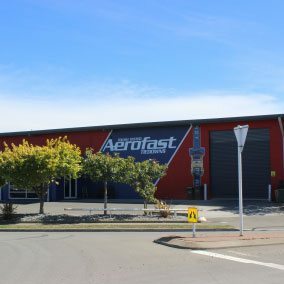 After trying some of the imported types supplied by the large hardware stores we fixed on the aerofast brand because as well as being secure, the material in the straps does not discolour paint or varnish if there is any movement unlike the other brands we had tried. 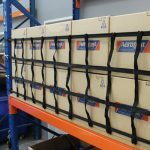 We have continued to use only aerofast for more than a decade"
"Aerofast have been the preferred supplier of high quality tie downs to E Hayes & Sons for many years now. Their commitment to service and to product quality is unsurpassed."